As the world’s largest professional network, LinkedIn can be used to help you network and prospect for quality sales leads, and with regular engaging posts we can help you show the world just how reputable, trustworthy and authoritative your company is. LinkedIn launched in 2003 to simplify professional networking and it now has around 500 million users. 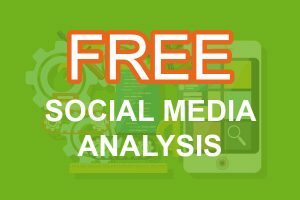 This platform, however, is completely different to the likes of Twitter, Facebook, Google+, Instagram and Pinterest, as it has an entirely professional user base. Whether you’re looking to recruit, connect with companies in your industry, scout for potential clients or demonstrate your authority with intelligent articles, LinkedIn is for anybody interested in taking their profession seriously. Of course, as is the case with all social media networks, you have to be able to put in the time to take full advantage of LinkedIn, and that’s where we can help. For small and medium sized businesses, in particular, the entrepreneur or business owner is often managing many different aspects of the day to day running of the business and spending 2 hours a day on LinkedIn isn’t going to be a priority. That said, ignoring it completely could prevent your from growing and becoming more established in your field, whilst you will be missing out on a huge number of sales opportunities. 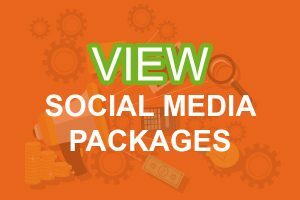 Social Moves can help you reap the rewards with a monthly social media package. LinkedIn can without a doubt play a vital role for many businesses but the content posted has to be tailored for your professional following, meaning it’s often lengthier, more detailed and informative. We can craft the right type of content to help keep your business in the spotlight, demonstrating your expertise whilst developing leads, so find out more about us and how we can help you sending us a message using the contact form below. Quick fact: LinkedIn is one of the fastest growing social networks with 2 members signing up every second, whilst it’s now available in more than 200 countries and territories. ESTABLISH YOUR PUBLIC IMAGE ON A GLOBAL SCALE. Social Moves will work with you on your LinkedIn company page, getting you up to speed with the main areas, tweaking the content to make sure everything is robust, whilst ensuring your all round presence is professional with branding on point. Your company page needs to be relevant to the people you’re hoping to target, but it also needs to provide some real value to your prospective clients. With LinkedIn, as already discussed, it’s important to work together to produce engaging content that’s factually accurate, interesting and relevant to your customer profile. 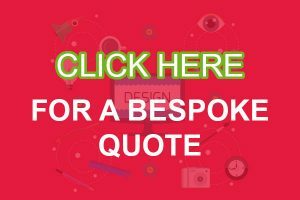 With in-house copywriters and designers, we can produce intellectual content with stunning visuals, grabbing attention and driving user action. One of the key benefits of LinkedIn is that you have the opportunity to build your thought leadership and gain more recognition, credibility and visibility in your industry. Regularly posting updates on your company page, whether that be in the form of news, promotions, relevant industry articles, SlideShare presentations or YouTube videos, will play a big role in helping your business become a leading player on LinkedIn. To ensure your posts are being reached by the right people, Social Moves an help you post targeted company updates. These are produced using your followers’ profile data such as company size, industry, function, seniority and geography. We’ve worked with a diverse range of B2B companies, helping them win more leads and improve brand recognition using LinkedIn, and you can learn more about the advantages by sending us a message below. Can LinkedIn Marketing work for B2B and B2C businesses? A lot of the information online regarding LinkedIn is targeted towards B2B business owners and for good reason. As we’ve discussed, having a company page on LinkedIn and posting informative, interesting and shareable content can help you build a level of trust with new and existing clients. You’re also able to use LinkedIn to find vendors, suppliers, manufacturers, and other third party resources and Social Moves can help you do just that. That said, B2C sales reps, directors and business owners an also use LinkedIn to their company’s advantage. There’s no doubt that a well-managed LinkedIn profile can serve as a flagship for your brand, meaning that engaging with your connections regularly will increase your likability and potentially help you build trust with your customer base, whoever that may be. That’s not to say LinkedIn can be used to full effect by any company, so it’s important to speak to us about your requirements and we can help you manage the key social platforms for success, whether that be building brand awareness, improving conversions, boosting sales and maximising ROI. Generating leads and converting connections into customers can increase dramatically when you begin to marketing your business on LinkedIn. This professional network allows you to build connections with those who share similar interests or work in the same industry, many of whom may be important individuals or firms who you would have never been introduced to. Finding out what your competition is up to is important in any business. LinkedIn allows you to see your competition’s clients, references, recommendations, and other important information that may not be readily available elsewhere. Like all of your social pages, your LinkedIn company page will be indexed by Google, meaning an engaging, authoritative and interesting page could play a crucial role in your SEO (search engine optimisation strategy), meaning more visibility. LinkedIn allows you to conduct market research effortlessly too. Let’s suppose you’re considering a new product or service. You can research on LinkedIn to see what kind of demand there is, whilst LinkedIn offers a Q&A feature that you can make good use of, receiving feedback from relevant individuals. LinkedIn allows others to publicly recommend you and/or your business, and as we know, word of mouth recommendations will always be a crucial aspect of marketing, especially on LinkedIn where a professional, relevant and engaged user base will be watching.